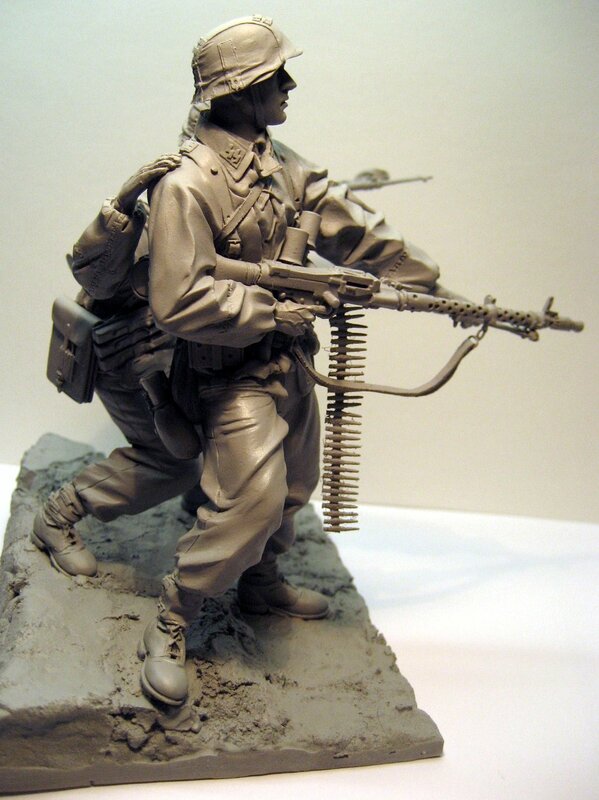 New figures from Jeff Shiu Miniatures..
US$85 each + $10 P&P. 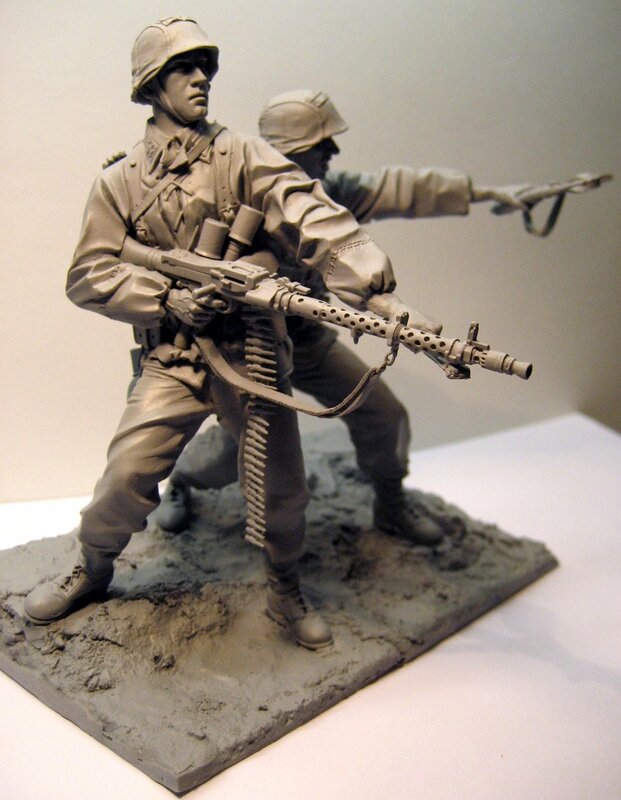 Jeff has released a new set of figures of two SS men on the Eastern front in summer 1941 – these two soldiers look to be holding off a bunch of attacking enemy with the help of one of their weapons – the fast firing MG34 machine gun. 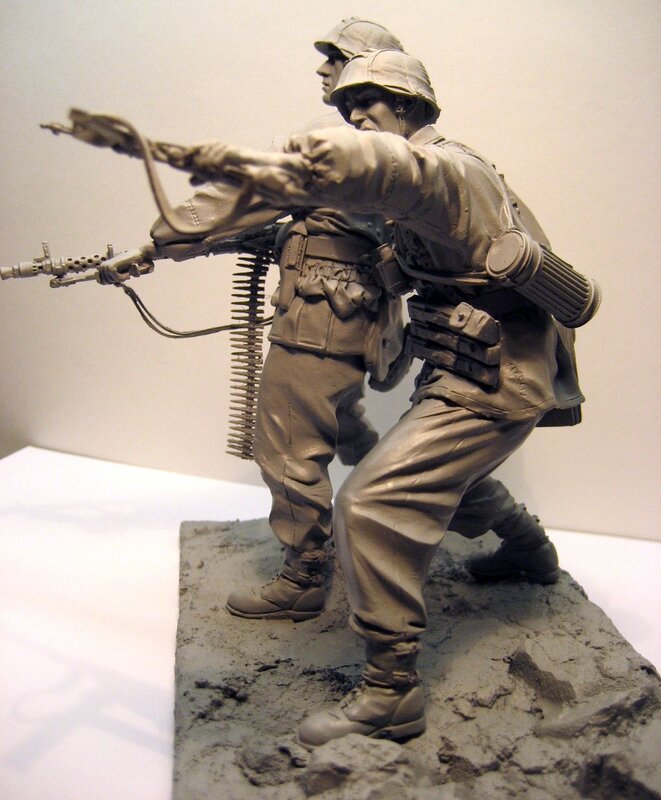 These figures are made from thirty four pieces of grey resin. 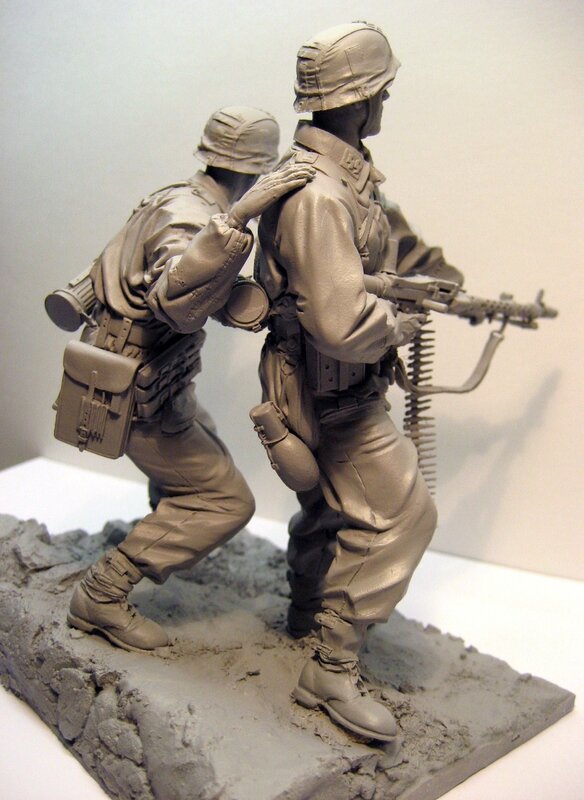 They are sold as a pair and although they cost 85 bucks there are two large figures in 16th scale (120mm) and the base included. The poses of the figures make this a pretty dramatic scene.. 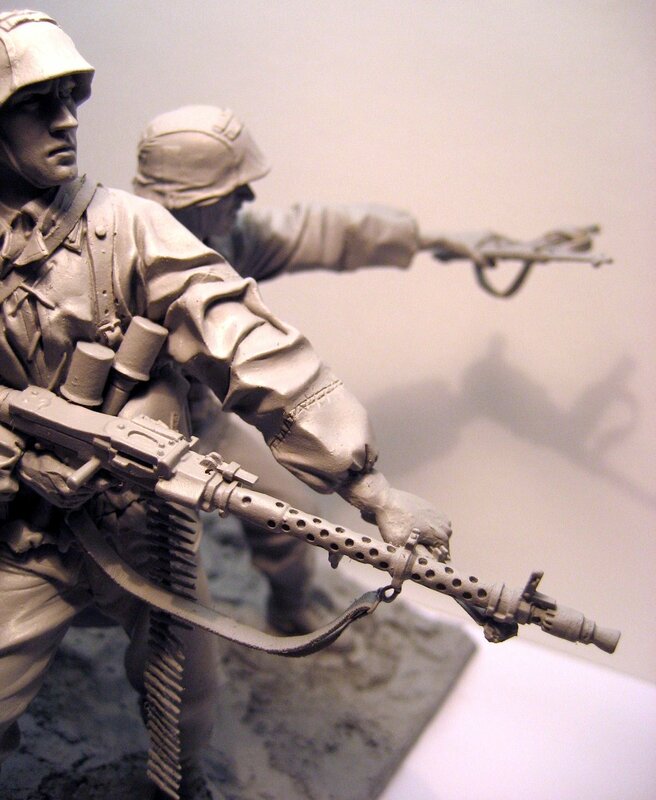 The two figures are just as well detailed as any of Jeff’s single releases and the body language of them sees the gunner bracing to fire and his comrade madly gesturing towards the enemy coming at them fast. 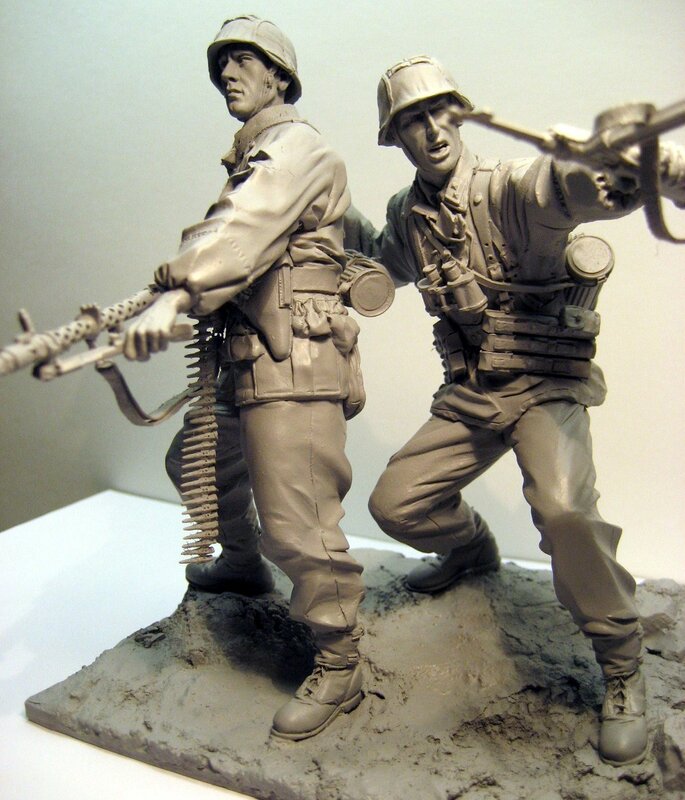 Both of these SS men feature some heavy weapons – stick grenades, extra ammo and stores all over their bodies to give depth and detail. The clothing detail is very nice as well and even the SS runes on the collars are clear to see as well.